We’re at a crossroads in education. There is an increasing gap between the skills that are in demand in the workforce, and modern-day education. It simply is not making the cut. Even though the education system today is largely an old machine, sometimes you come upon stories that give you hope. 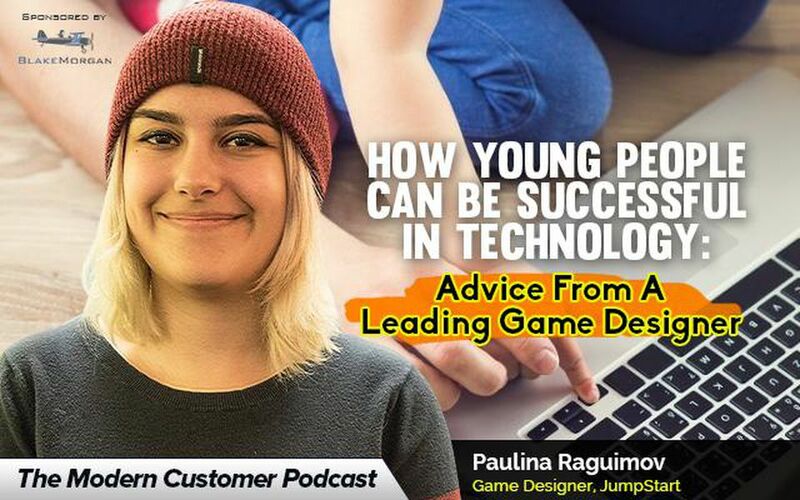 Enter Paulina Raguimov, a young creative gamer who at the age of 16 applied for an internship at JumpStart–a well-known game company–got the internship and ended up pitching a concept for a new game to the CEO, and getting that game produced. Now at the age of 20 Raguimov continues to do cutting edge work at JumpStart and finds time in her busy schedule to mentor younger people as well. Raguimov took the road less travelled by skipping college (so far) and wants to provide information and resources to others like her in school who don’t know exactly what they wanted to be when they grow up. Raguimov has generated a lot of attention already with features in TechCrunch and Huffington Post. I have met Paulina Raguimov many times and am happy to have had the opportunity to share her story with Forbes’ listeners. For more on Paulina Raguimov follow her on Twitter @PollyRag or LinkedIn here.